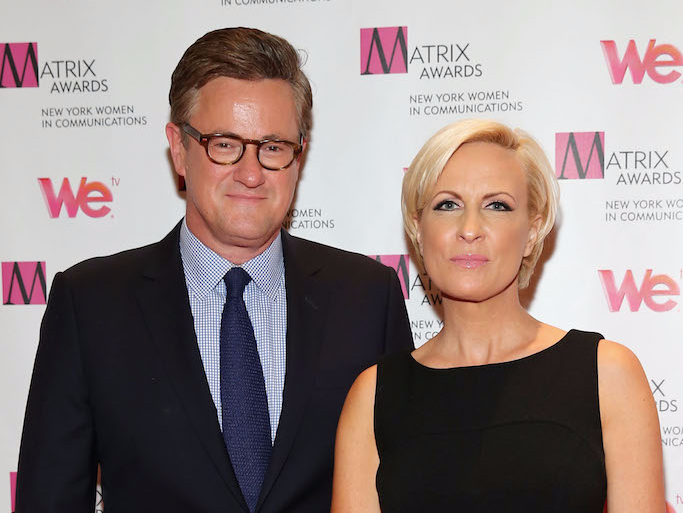 07 Dec, 2017 by	Margaret M.
Joe and Mika, the shining stars of MSNBC’s Morning Joe started their show this morning by alleging that President Trump has a “diminished mental capacity” judging by his speech on Jerusalem yesterday, saying that because he slurred some words near the end, he must be at death’s doorstep. “This is not the person that we knew even three years ago… There’s a remarkable change,” said Joe Scarborough. His fiance Mika piped up to add that Trump “seemed like he was almost hanging on to the prompter and hanging on to the words… there was a struggle happening.” Are these two for real? Obama’s teleprompter usage was so over the top that when the inventor of the teleprompter, Hubert Schlafly, died in 2011, it was international news. The two talking heads had a Daily Beast columnist on that morning and Mike Barnicle agreed that the slurring was caused by stress and “poor physical condition.” Mike alleged that Trump was filled with anxiety due to “Bob” Mueller’s special prosecution and Russian, or something. Pathetic. When Hillary Clinton was captured by a citizen with a cell phone camera collapsing into her SUV, being held up at the elbows by her handlers, there was no reason for concern for her “physical condition” and her “impairment” was soundly shrugged off by left-wing media. Without just that one person, a non-journalist to capture this event, the election may have turned out a touch differently. Surely other journalists near Hillary had noticed her sensitivity and declined to mention it? Having an illness doesn’t impair a person from top office — FDR was in a wheelchair due to polio, the Governor of Texas is a wheelchair user due to an accident and Wilson famously (but quietly) had a stroke while in office. But Trump, who may be a bit foggy due to any number of small maladies, doesn’t enunciate clearly enough for the left and all of a sudden he should be committed to the ICU. They could’ve just stuck with water bottle jokes, which is a curious addition to modern political coverage. For instance, the Marco Rubio waterboy joke has been going on since at least 2013. Trump’s fine. Calm down, all of you.